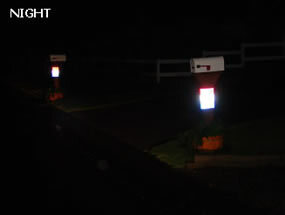 Have you had trouble seeing your driveway entrance at night, in the fog, or low visibility weather conditions? 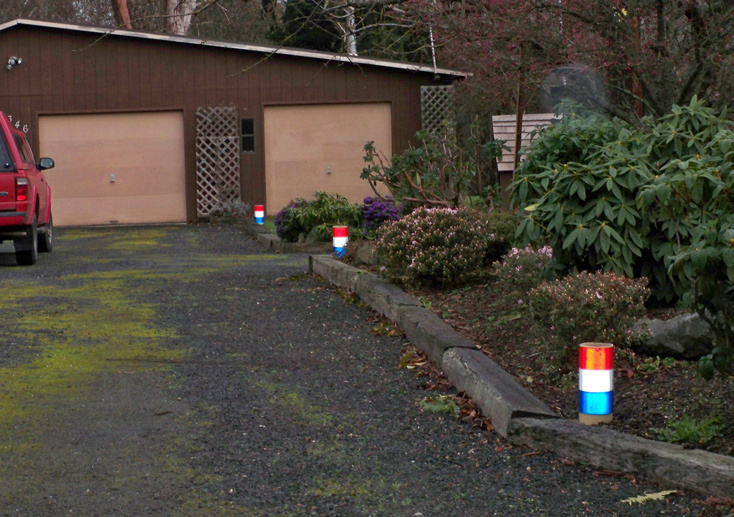 Have friends, emergency vehicles, or delivery trucks had a hard time finding you house or business? Each reflector has over 200 square inches of high quality 3M reflective sheeting providing a large surface glow from any angle with car head lights, a 20-30 year life span and reasonably priced. 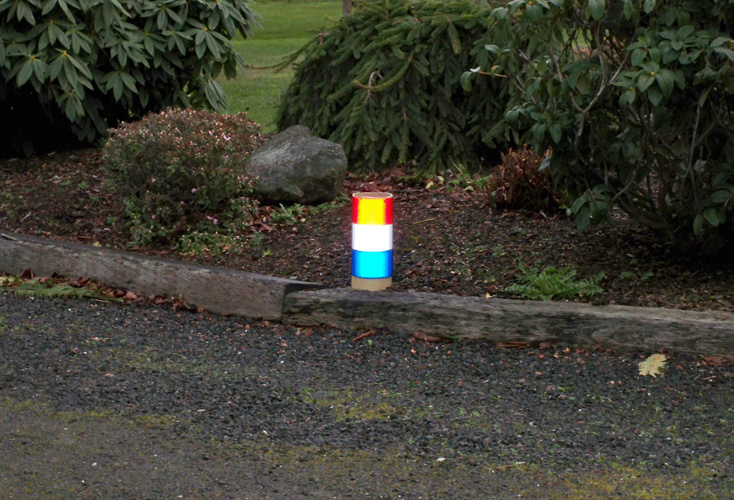 Use these eyecatching reflectors day and night for marking long driveways, entrance and exit paths, culverts, hazardous areas, ditches, sides of buildings gates and fences. There are three holes punched on both ends of the reflector. 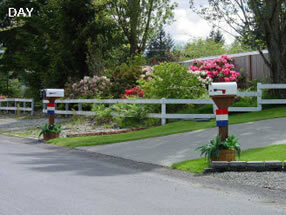 Flat markers can be nailed to sides of buildings or use plastic pull ties to attach to fences and gates. 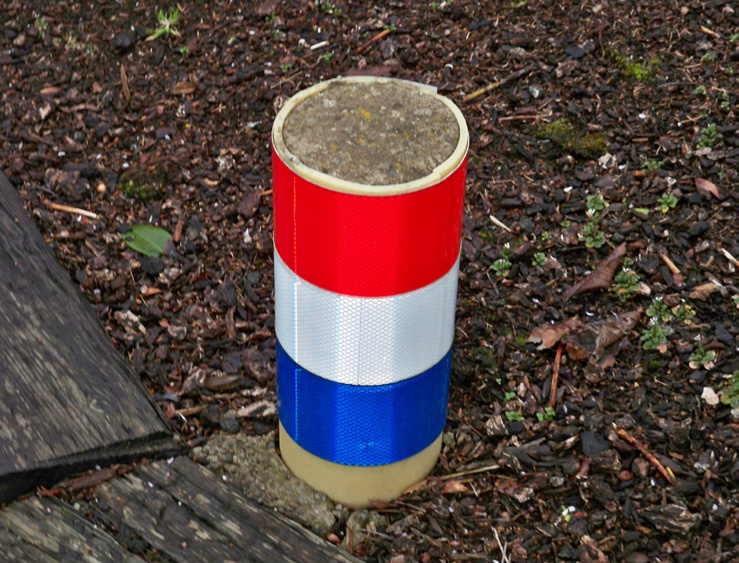 Rolled or cylinder style are nailed to wooden posts, filled with cement (at ground level), attached to aluminum tubes (see airfield reflectors), or use your own installation ideas. 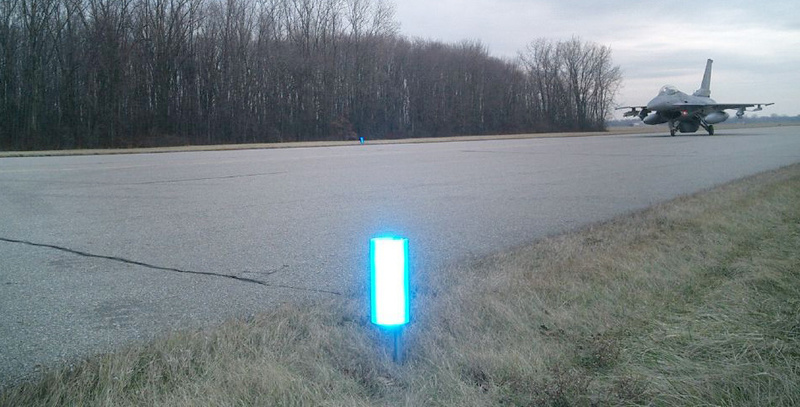 Reflectors can be ordered in stock colors: solid blue, white, and red.